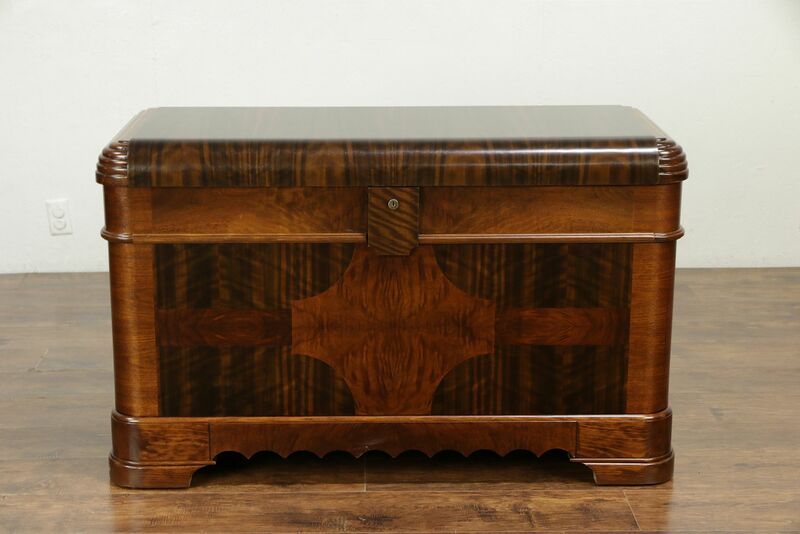 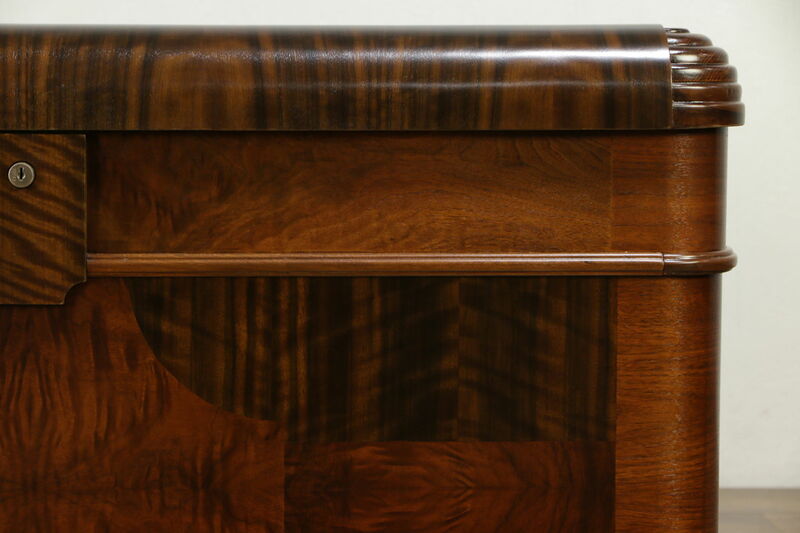 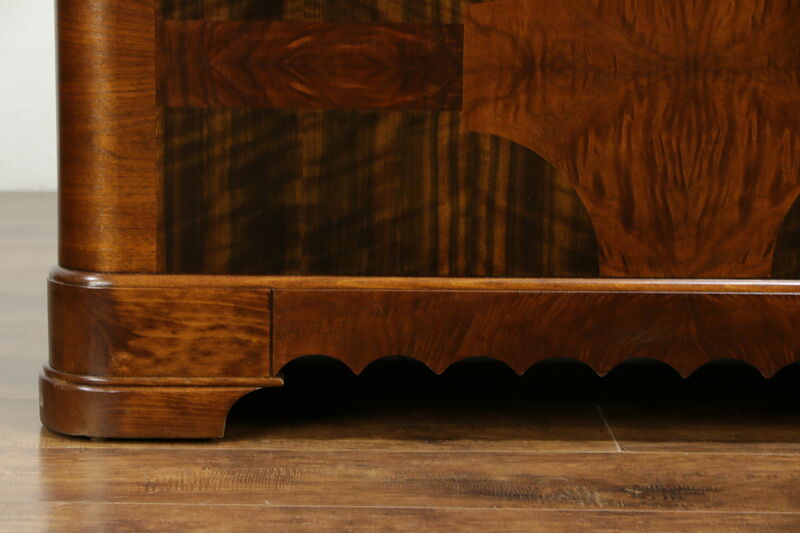 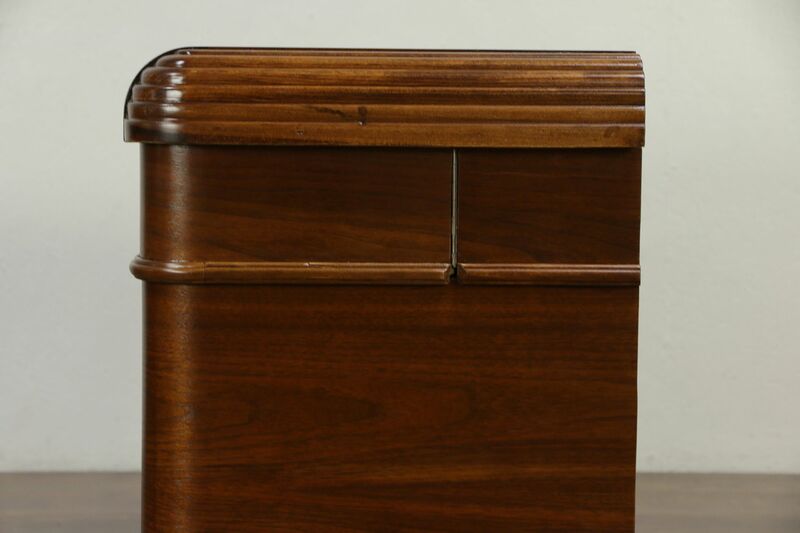 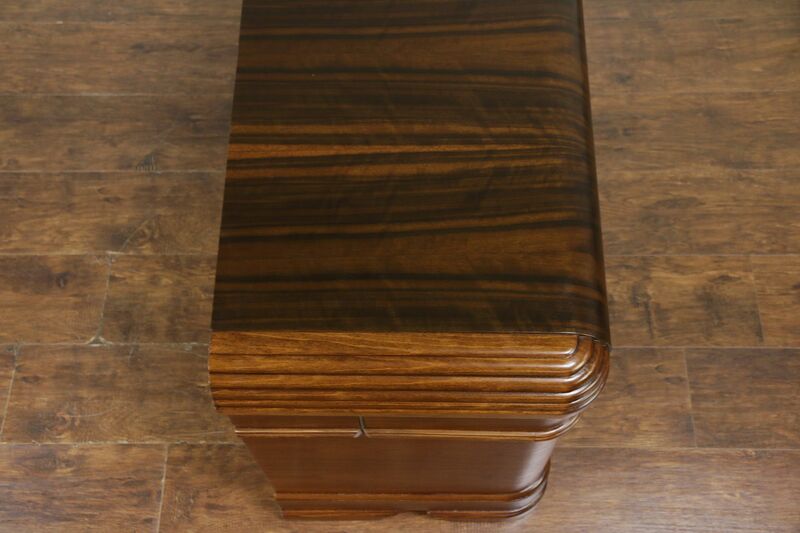 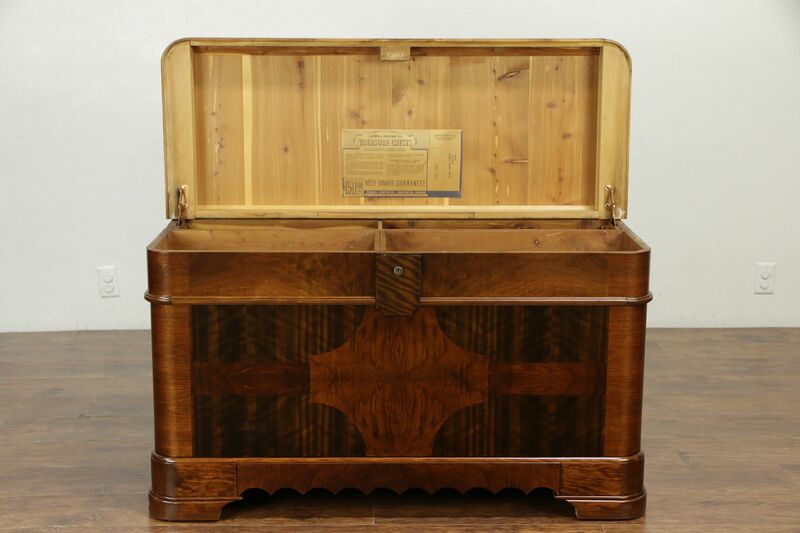 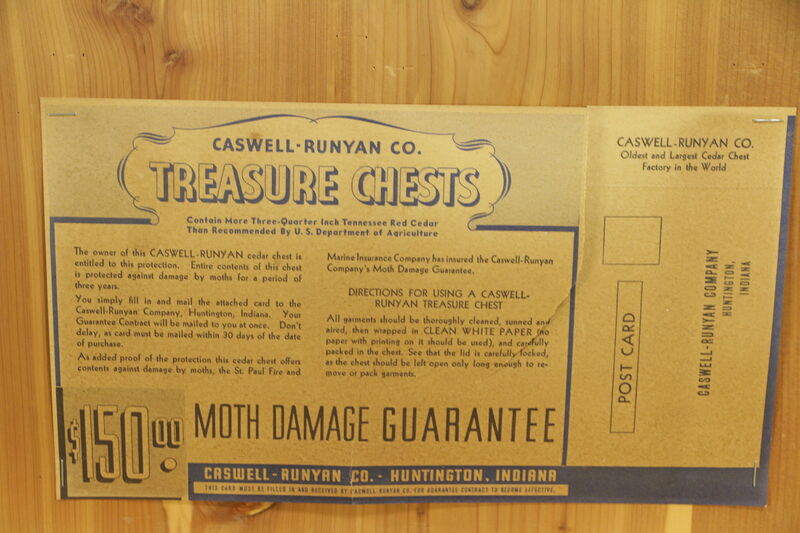 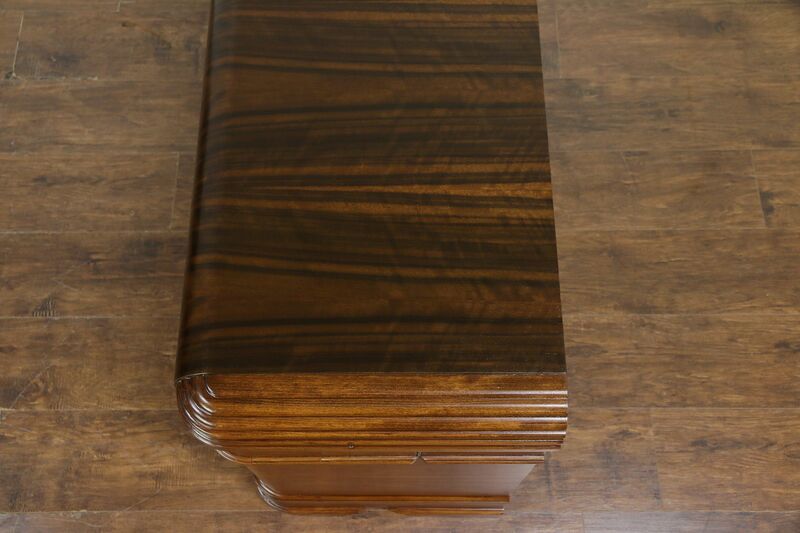 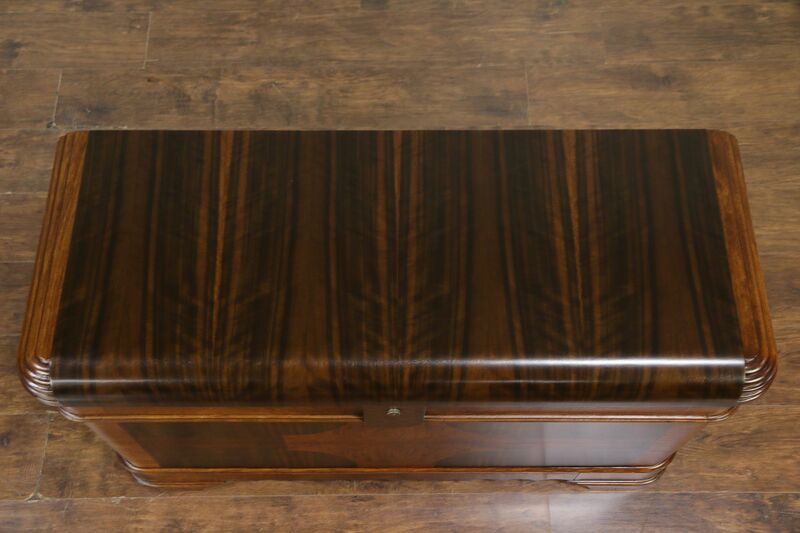 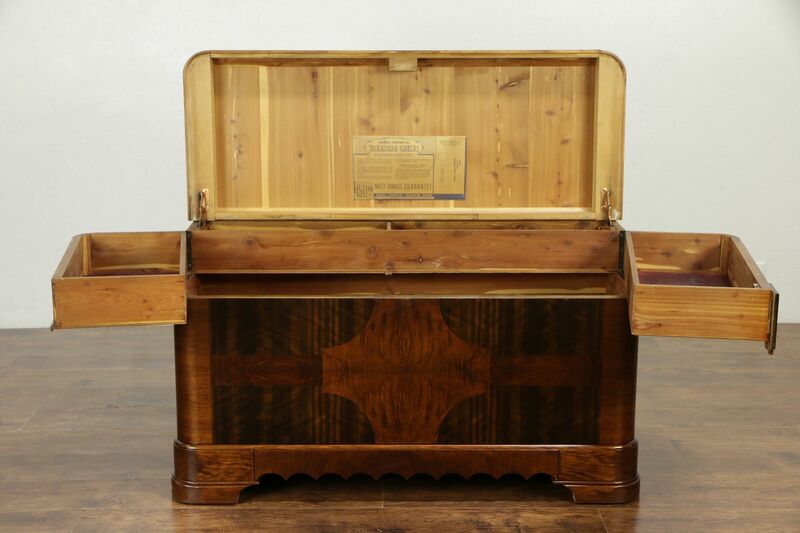 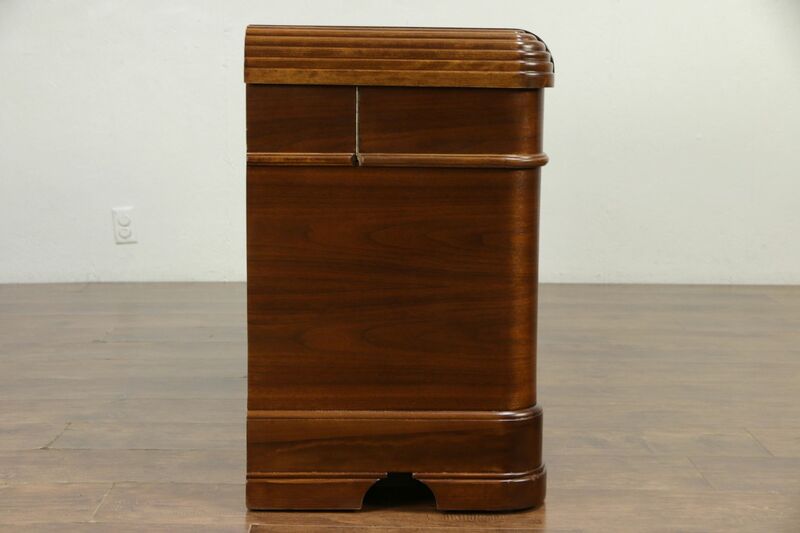 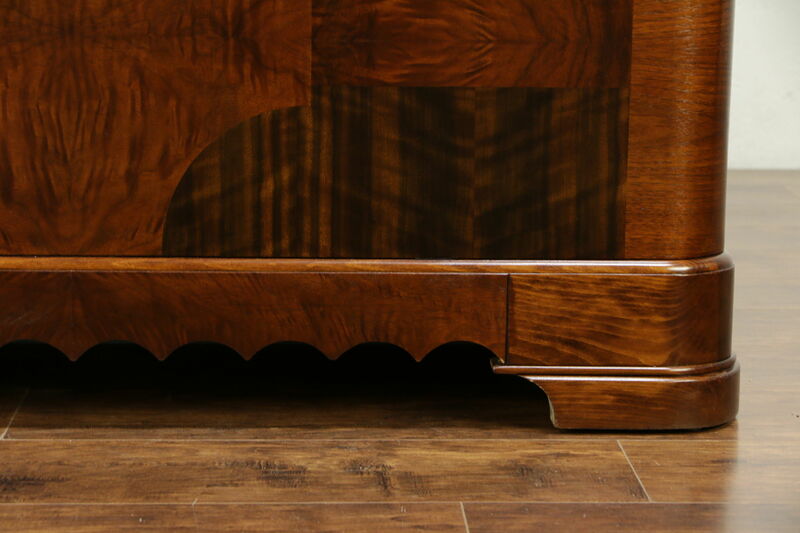 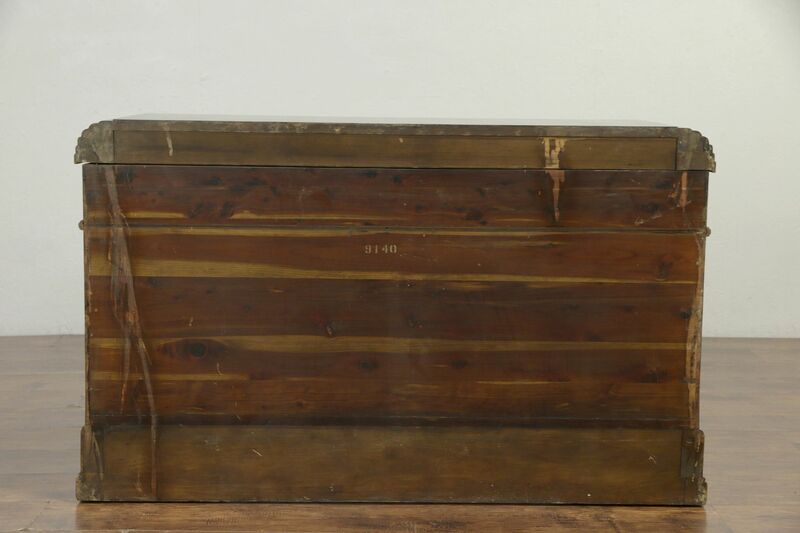 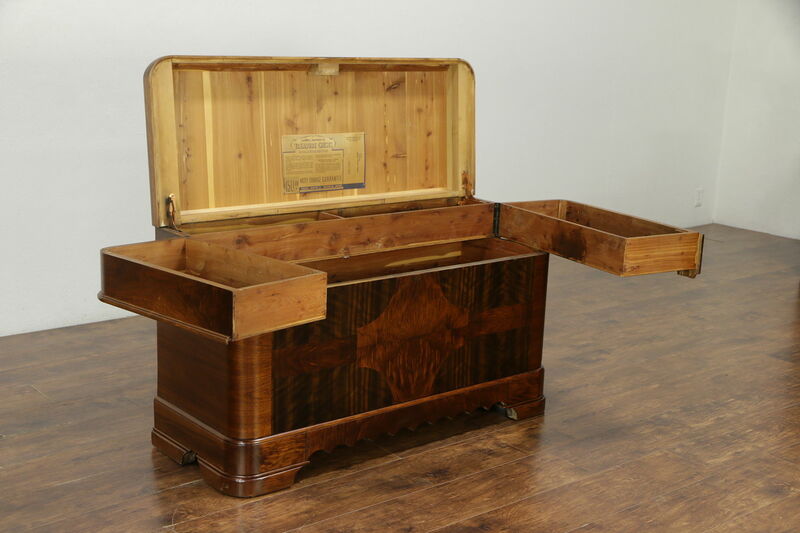 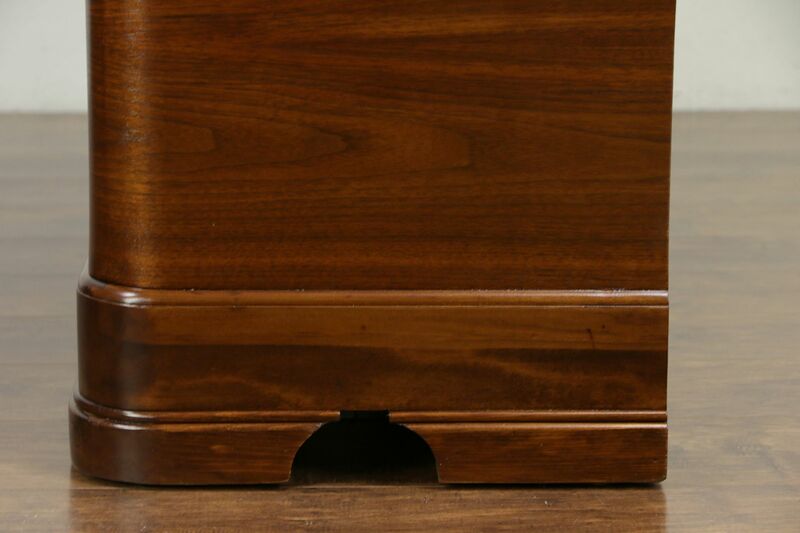 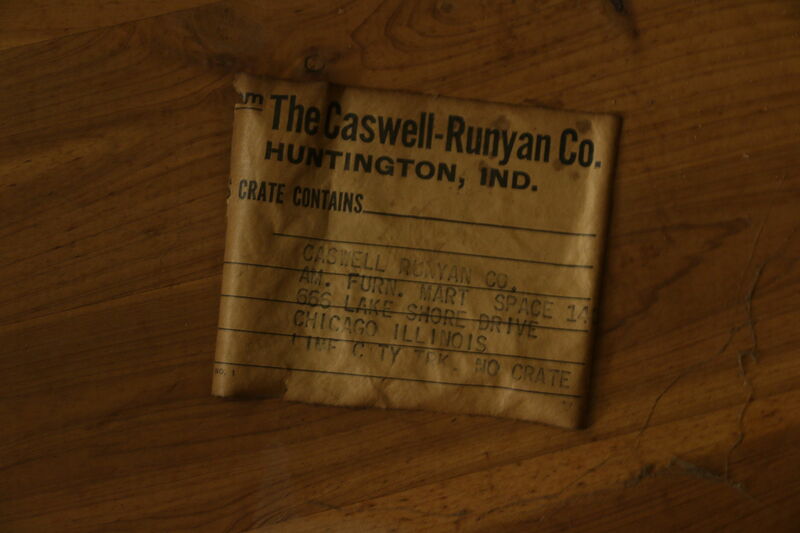 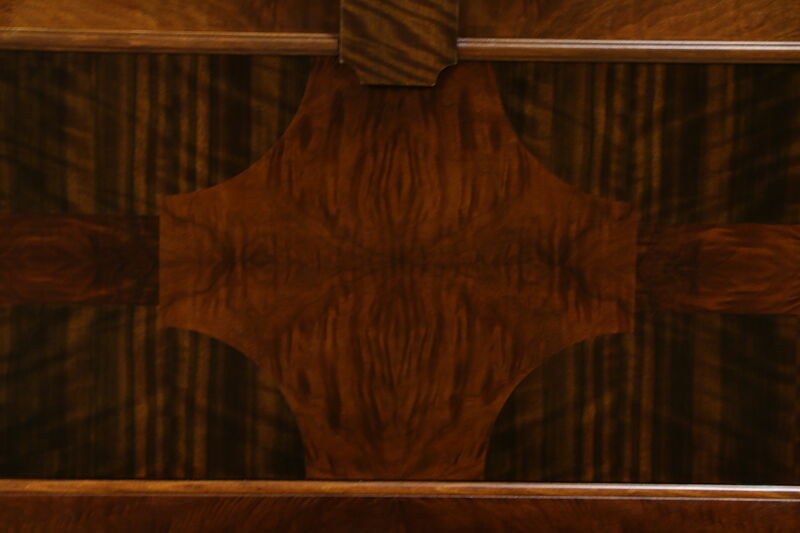 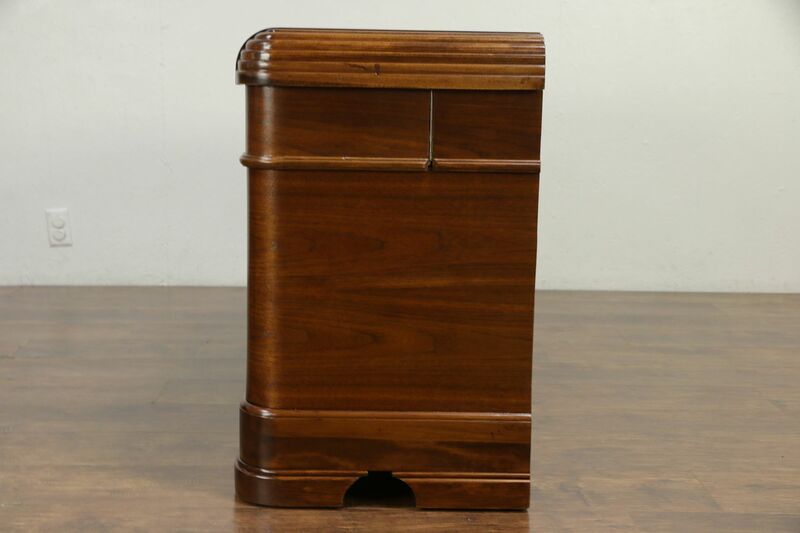 From the Art Deco period about 1935, this "waterfall" design cedar chest is signed "Caswell Runyon of Huntington, Indiana," and has the scent of cedar inside. 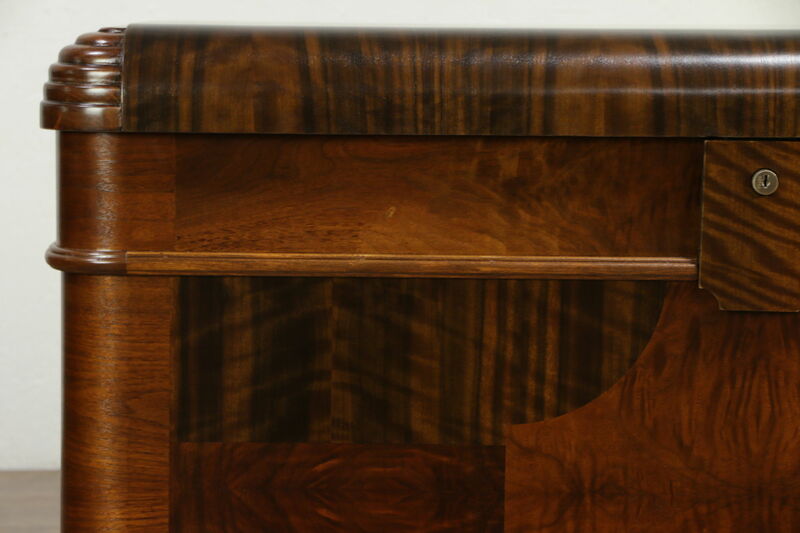 The exterior is matched grain mahogany, burl and walnut. 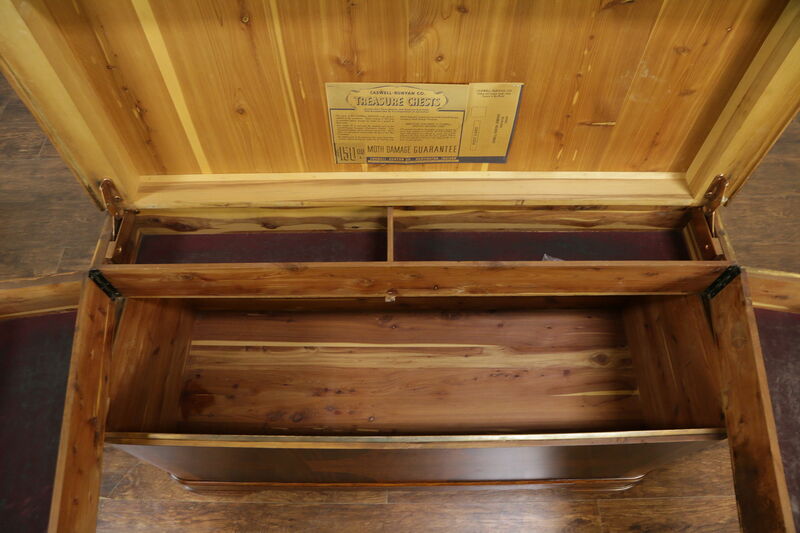 Two swing out drawer trays have old felt linings. 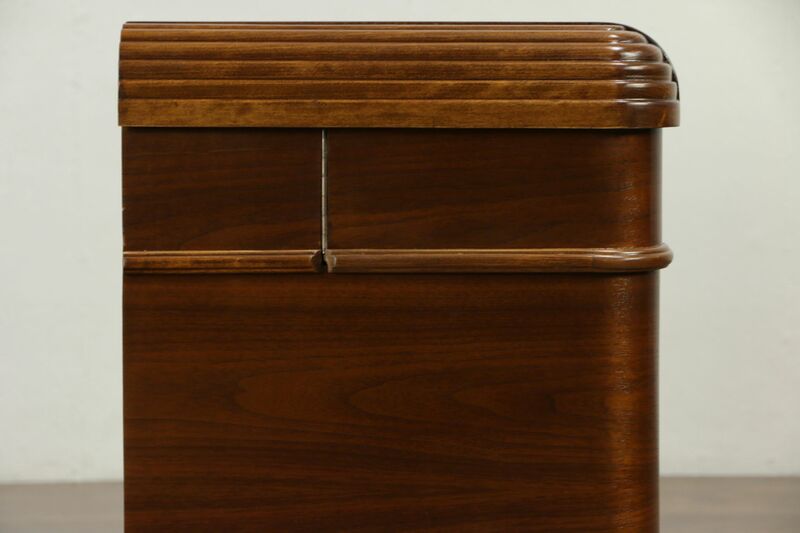 The restored gleaming finish is in excellent condition. 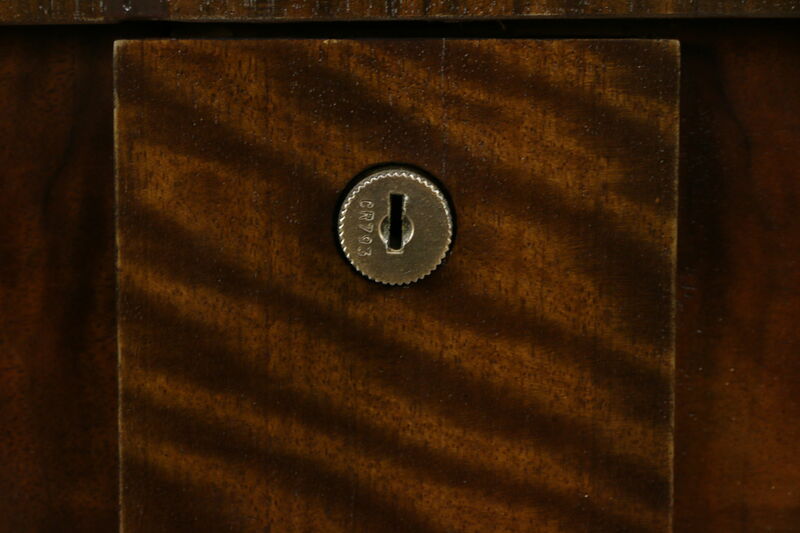 For safety, the latch is removed but included with this vintage furniture. 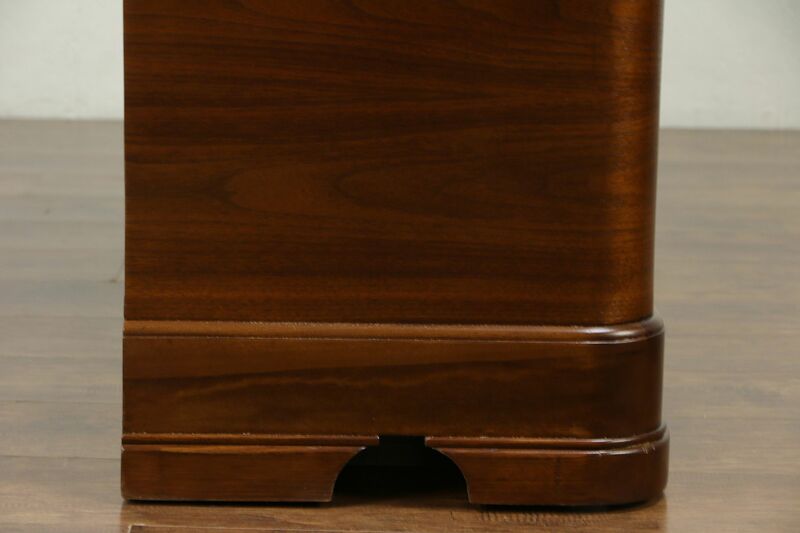 Dimensions are 48" wide, 19" deep and 29 1/2" tall.